The Redskins honored the memories of those lost on 9/11 before Sunday's game at FedEx Field. 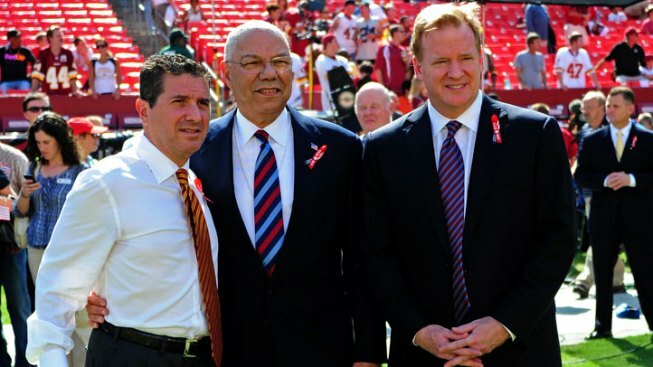 Redskins owner Dan Snyder was spotted on the field before the game posing with former U.S. Secretary Of State Colin Powell and NFL Commissioner Roger Goodell. Powell served as the honorary captain for the Redskins on Sunday.